There’s nothing more rewarding than making your own compost especially when you eat organic food and choose really healthy ingredients. 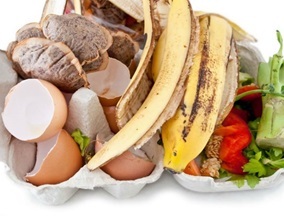 Throwing away anything from good food – even peels – seems like sacrilege. Now you can turn them into healthy compost to feed your organic veggies I know you want to grow! Or even put them into your herb garden (you have started one, haven’t you??). Anyone can make compost, you don’t have to be an agronomist or agricultural genius. It is a nutrient-rich type of soil make from kitchen leftovers, grass cuttings, dead leaves, branches, wood chips, water, eggshells, peels and even tea bags. You can also use any container and it’s best outside of course, but anywhere you are able to do it will be fine. Either out in the open or in a container. Start by layering the materials if you wish, or just mix them all together. Try to rotate and mix the compost every few days, and eventually you’ll have a wonderful natural fertiliser to put into the soil of your soon-to-be organic veggie garden.